It's interesting that Cleopatra is releasing ambient electronic music like this, as my initial impression of the label was much different. There’s not an awful lot of information in the booklet so I don't know who this is or how many people are in this group. 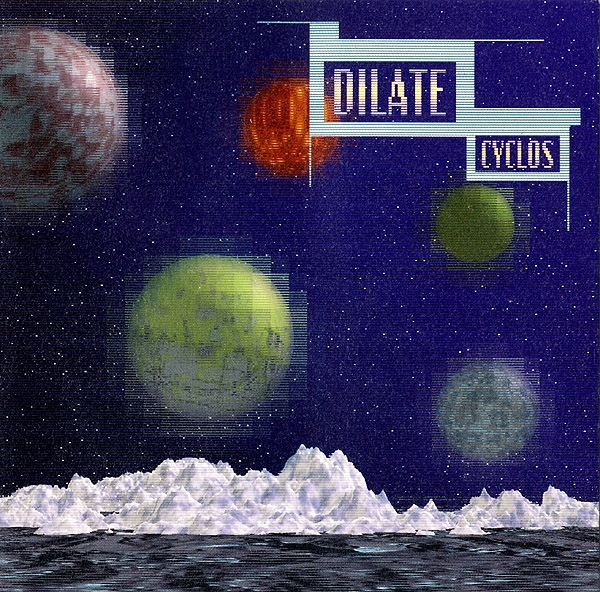 Dilate are definitely of the ambient variety playing music somewhere in the vicinity of Roach, Rich, or Stearns, yet having strong Teutonic roots as well. The synth tones drift, fade and hang on the air and there are no sequencers or rhythm machines (although later on in the CD there is some percussion). It's nice music to relax and drift off to as much of it is very soft and soothing. As far as comparisons, it doesn't have as much direction as synthesists like Roach or Rich who have been doing it for years, yet it's quite a debut and comparable quality wise to many electronic debuts. I hope Cleopatra keeps releasing music like this, they're improving their scope.